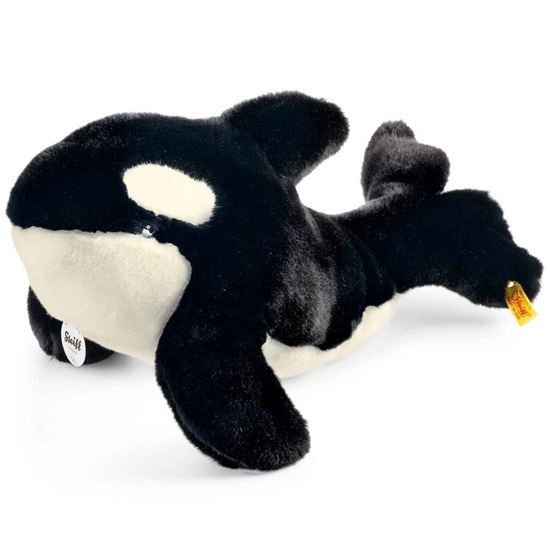 This soft plush killer whale is 13 inches tall and is machine washable. "Olly" is a black and white soft plush killer whale with black safety eyes. He is 13 1/2 inches long and is machine washable in water up to 86 degress. He comes with the yellow "Button in ear" tag and is good for ages 3 and up.